Buy Your Copy of Promote Yourself Today! I hope you’re doing well and thank you so much for subscribing to my blog and supporting both my company and my career. I appreciate you taking the time to read my work on careers, workplace trends and personal branding. 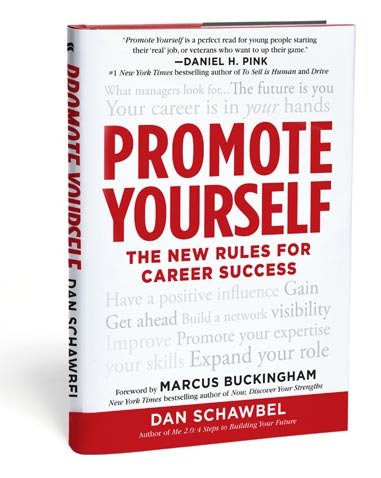 Today, I’m proud to announce that my second book, Promote Yourself: The New Rules For Career Success (St. Martin’s Press) is officially available at bookstores across the world. It’s been a five year journey for me. It took three years and three book proposals to land my publishing deal, one year of research and one year of writing it. It captures my best work and like my first book, Me 2.0 , this book is focused on not only providing you with high level trends but the tips and strategies you need in order to get ahead in your career. 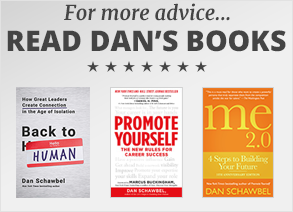 Promote Yourself does two things that no other business book has done in the past. It gives cutting edge strategies on how to stand out and get ahead at work based on new research, interviews and insights. It also explains how millennials will shape the future of work. I hope that you will purchase a copy for yourself, for your family and friends and for the people that you work with. Modern career strategies: You will learn how to turn your passion into a job, how to become an intrapreneur, how to manage relationships between different generations, the skills you need to succeed and figure out what to do if you’re stuck. Exclusive research: It contains an exclusive research study on millennials in the workplace in partnership with American Express. The research will reveal the qualities managers are looking for when promoting, the conflict between millennial employees and their managers, social media’s role at work and much more. Individual interviews: It has 75 interviews with executives, managers and millennials from the worlds most prestigious companies including Intel, Ernst & Young, DELL, PepsiCo and NBC Universal. Foreword: Marcus Buckingham, the New York Times bestselling author of Now, Discover Your Strengths, wrote the foreword and it’s the only one he’s ever written.